News from the Campaign to Elect Patti Buckley Malcolmson - Register of Deeds 2018. After a lot of conversations, thought and supportive outreach from the communities, as a committee have decided to continue our campaign for Patti Buckley Malcolmson. We are officially running a write-in campaign for the Register of Deeds position and with that comes a lot of expenses. In order to have a successful run at this we need to make sure we can afford the things we need to do in order to get the word out to all 5 communities. Funds are needed for signs, printed material, postage and mailers. All donations are greatly appreciated! 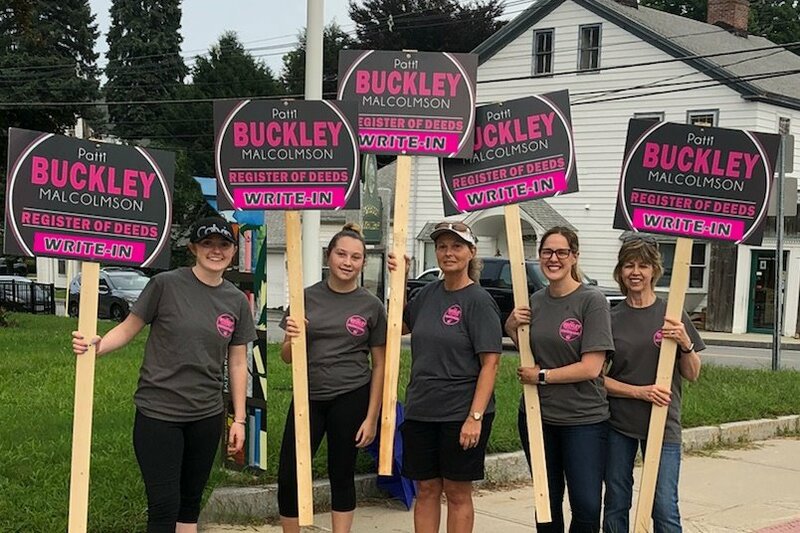 When donating make sure to share with us either during the donation process or you can send an email to: campaign@buckleyregisterofdeeds.com. If you are a taxpayer than this is important for you to know who is in this position and what they are doing. Your tax dollars pay the salary of this position and you want to make sure that the person is showing up to work. 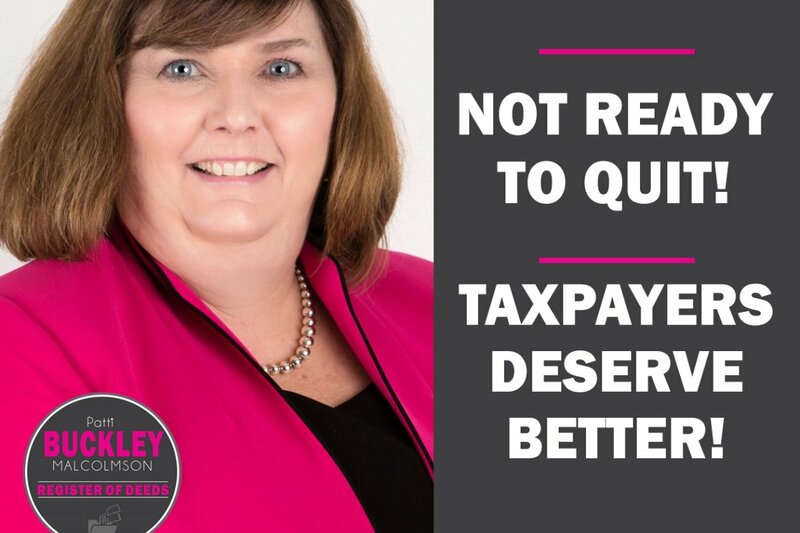 As a committee we are supporting this effort to get Patti Buckley Malcolmson elected into this job that she overly qualified to do. Please help us get this done and get the right person into this position.